The Voyage of Unknown is now little over a third of the way. Yet, we haven’t addressed this question, what the heck is Resonance Code? In the last three sessions, we have been practicing applying the Five-Phase lens (formerly called Five-Element) to examine our experience of a situation we carved out of the flow of life. 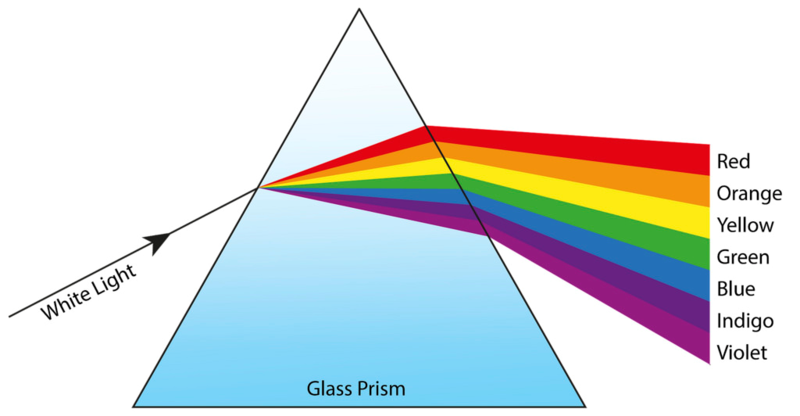 Like a prism enabling us to see a spectrum of colors contained within white light, the Five-Phase lens allows us to examine the different depths and layers of our experience normally masked by the busy pace of life. Imagine life prepares us an elaborate five-course meal, yet within our culture few people have time to sit down and taste each course. Instead we are forced to pour all the five courses into a blender, and slurp down the mixture while driving to work. Our culture emphasizes some of the Five Phases more than others. In doing the exercise, people report that thinking comes more easily than feeling and sensing. Acting/doing is also very predominant. Yet our acting/doing often comes from a script or reactive pattern conditioned in us. This encoding phase is usually not even on the map of our awareness. Our life path has been mostly contained within the infra-structure composed of rules, laws, ethics, religion and cultural norms. This social infra-structure is usually built by a collective over long periods of time and thought as immutable for generations. We unconsciously encode our personal relationship with the infra-structure into “Encoded Observations” to guide our life choices. It is only recently, with the rapid evolution of our social infra-structures and constant exposure we have to other cultures’ infra-structures, that we have gained the conscious awareness of these infra-structures. With this awareness, an individual has much more freedom and capacity to consciously change and rewrite the codes of her life. Because our awareness is biased towards certain phases, we have limited capacity to engage with life freely and creatively. Imagine what is like if only two of our five fingers can move freely, while the other three are frozen in rigid positions. Rarely do we experience the joy of spontaneously-arising actions, the satisfaction of following choices sourced from our whole being, and the thrill of skating along the edge between the Known and Unknown. Now we have applied the Five-Phase lens to experience these deeper layers of our current situations. Then what? I-Ching is a process that allows us to perceive the relationship between what is already so and what wants to be. Experiencing the deeper layer of what is already so is foundational in engaging with what wants to be. In the Resonance Code language, we say that a hexagram portrays the relationship between Manifestation – what is already so, and Possibility – what wants to be. This relationship will inform us how to midwife the birthing of evolutionary emergence, in the ever-present flow of Now. It is a process that allows the Known Self within the conscious domain to communicate with the Unknown Self outside the bounds of consciousness. Every time we throw the coins in the air, or randomly pick yarrow sticks, or grab a handful of rice from a pile, we surrender our Known Self to the Unknown Self momentarily, and ask, “What would you like me to know at this moment from the other side of the veil?” Line by line, the Unknown Self answers back in the solid or broken, changing or unchanging lines, composing the hexagram. By now you all have had the experience of consulting I-Ching. You might have already had the experience of how the I-Ching texts provide insightful commentaries to your situation, to the heart of the matter. The physical explanation of why patterns derived from random tossing of three coins would correlate with the matter of the heart is beyond the scope of our existing scientific paradigm. I think quantum physics just starts to penetrate this layer of our physical reality. Yet few people can hold intelligent conversation on how immaterial mind and material objects intertwine and weave into the fabric of space and time. What we have is I-Ching, a vast amount of empirical data compiled first by ancient Chinese, then by people all over the world over three millennia. Now, as we have learnt to make the first step grounded in our deep experience of Manifestation, what is next? In the next three sessions, we will learn how to invite Possibility from Manifestation. Possibility as in what wants to be is different from Possibility as in what “I” want. Just like how our experience of the current situation can be dominated by the thinking process, sourcing Possibility can also be dominated by thinking. Thinking is often dualistic in nature and imprinted by what “I” want. As a result, Possibility does not carry the unstoppable life force that surges into Manifestation. When sourced from our whole being involving all five phases, Possibility is charged with life force like a new born baby, with its own will and trajectory to grow into its own being. As “parents” of this Possibility, we will need to learn how to cultivate our capacity to listen and provide necessary nourishment and structure to steward its manifestation. In the meantime, we cannot ignore what “I” want. Simply because we can’t. Suppressing it or cutting it off only pushes it down to the unconscious realm. As I discussed in the previous essay, Using Questions to Uncover Frozen Assets, understanding our own deeper needs and fulfilling them is a big part of our work. In communicating with the Unknown, we are reminded of the experience of communicating with someone from a foreign country. Only this someone is not a stranger, but our very own Self, charged with the same source of life energy that infuses our own body and spirit. This Unknown Self is a part of us we were born with. Yet it was left outside the boundary of the Known to make it easier for us to live within the existing culture. We will have to remember that this Unknown Self has its own language and style of communication. Using Resonance Code to communicate with the Unknown is no less than learning a foreign language or a foreign culture. I started learning English when I was eight. I moved to the United States at 22 and lived here for another 22 years. There was a period when I was arrogant enough to think I had American culture figured out. Well, I figured out enough to survive. But at that time I had no idea how to thrive in American culture. In fact, I never had the experience of thriving in my own native culture. While learning to survive is a finite process – it does not take much to fulfill the minimal needs I have to survive, thriving is a learning process that infinitely deepens and unfolds. Now, I learn about the deeper nuances of American culture and the English language every day. Learning our Unknown Self through I-Ching and Resonance Code takes a life-long commitment. Everyone learns differently. In studying language, we all have to find our own learning and practice style. I hope this course Voyage into the Unknown can introduce the basic framework with which you can start to experiment with your own learning and practicing style. I will also help you through the one-on-one sessions. If you feel somewhat at a loss after the first three sessions, you may relax. You are at the beginning stage of learning a new language and a new culture, you are right on track. Listening into the Unknown will help us establish a mutually generative relationship between Manifestation and Possibility. This relationship lies at the foundation of the paradigm of Resonance, a new way to perceive and facilitate evolutionary change. 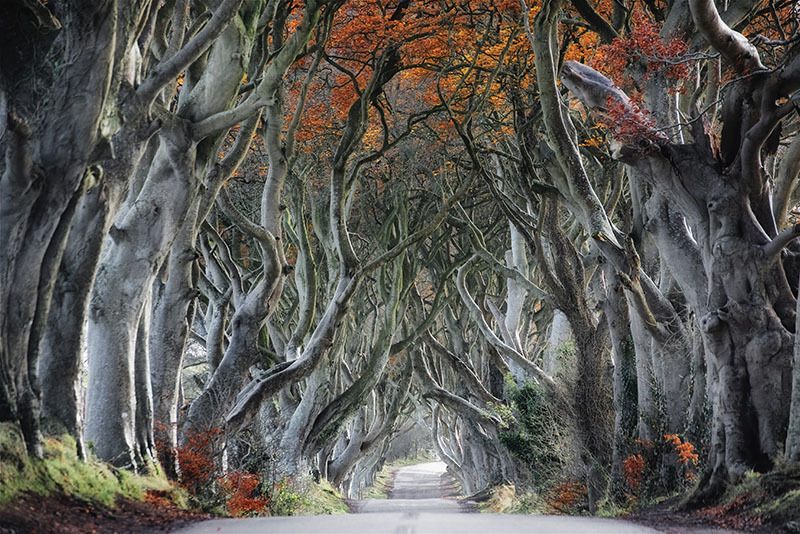 The Resonance Paradigm contrasts with the conventional paradigm of Predict and Control, applying interventions based on what is known onto the natural world, social systems or our own transformations. The shift from Predict and Control to Resonance will be a profound change in consciousness. We will continue explore this concept after we have acquired more experience towards the end of this course. Lastly, I want to speak about the word Code. What does that mean? At this moment, I am typing this essay in an application called Microsoft Word. 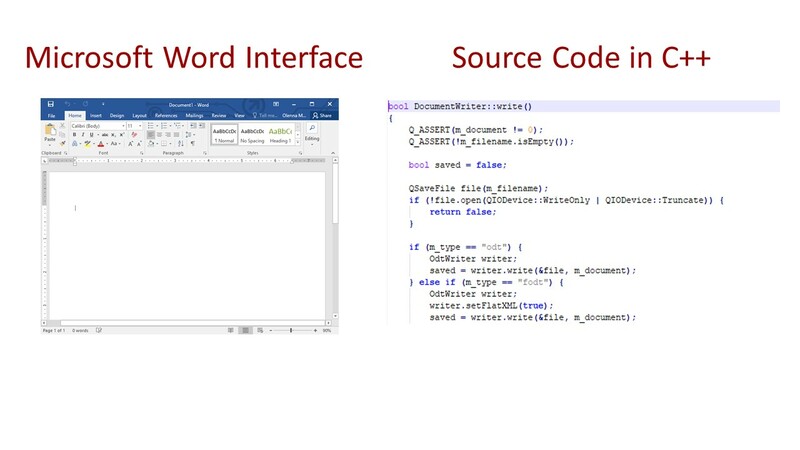 This Windows application is written in a computer code language called C++, which is also used to make other applications such as PowerPoint and Excel. There must be a few dozen apps on your smartphone. They are all written in various code languages such as Java. As an average user, we do not interface with the code, only the product of the code. The current version of I-Ching can be seen as a “product” developed in an underlying code. When we read I-Ching, we don’t see the code. Just like when we use Microsoft Word, we don’t see the code behind this application. Without the knowledge of the code, we are confined by the specifications and functions defined by the developers of the product. Yet when one learns to write the code language, one will have a far wider range of choices to change existing apps or develop new ones to fulfill their needs. If you think it is a farfetched idea to compare I-Ching with computer application, please read this The Mystic in the Machine written by Sam Barlow. This essay examines the relationship between I-Ching and the binary system, a mathematical language at the foundation of today’s computer technology. In the 17th century, German mathematician Leibniz invented the binary system, inaugurating the era of modern computational technology. Yet the ancient Chinese started systematically using hexagrams which are essentially a binary system almost three thousand years ago. In fact, studying I-Ching helped Leibniz to complete an important proof when he was developing the binary system. In that light, I-Ching may be seen as the oldest computer “application” on earth. This current version of I-Ching application, as brilliant and long-lasting as it is, is approaching its limits. Our current social, natural and political environment has changed dramatically from the time this app was developed. The social productivity level has increased a thousand-fold. Women’s social role is no longer restricted to producing viable babies and raising them to adulthood. Modern communication connects every two points on the globe instantly. Transportation shrinks the distance between farthest corners on earth within a matter of hours. It is time to update this ancient app to midwife the emerging future of our planet. Evolution calls us to establish a more intimate connection with the Unknown. Just like Microsoft Windows is developed by a team, updating I-Ching will also have to be a collective effort. Yet without the underlying code, the collective effort will not be possible, just like without a manual of C++, developers cannot pool their efforts together to develop windows applications. Nine years ago , several strong currents converged in my life, including forces from mystical, cultural and political realms. Out of that vortex, in my heart I heard the pleading of the Spirit of I-Ching that it has reached its evolutionary limits. (This is a story for another time.) I saw that the ancient code of I-Ching was buried in arcane Chinese language few people could understand, let alone use as a basis for social collaboration. Since then I have devoted my life to experimenting with I-Ching and reverse engineering this body of knowledge called Resonance Code. Later I collaborated with Joe Shirley and Joseph Friedman who have made significant contributions to this endeavor including connecting this ancient knowledge with modern systems thinking and human development theories. As you listen to your own Inner Wisdom through consulting the hexagram, embody your Inner Teacher through practice, and later write your own journal with Resonance Code, you will become a member of this community of “developers” to write the next version of the I-Ching app. I hold the vision that the developers of this new app will benefit greatly from doing this work, just like the software developers at Microsoft. Yet this benefit is not measured by financial gains, but by a fuller, richer experience of life, authentic and nourishing connection with community around us, and a deeper and more playful immersion in the creative flow of life. With that, we will enter the second phase of our Voyage in the next three sessions. My natural, or rather spiritual NOW experience, when I am at rest, is one of serendipitous synchronicity. I realize there is a code, or discipline, behind it. I have never written it down simply because it is mine, developed over my lifetime and I assume everyone must find their own unique code. Perhaps I am wrong about that and there is an emerging consciousness that is Universal with regard to comprehending the evolving code. I can write it down in several languages and contextual metaphors; what I call my integrated life story, if it would be helpful. But, again, it would be my experience. To use Spring’s term, it may resonate with others. I do not want to distract others from discovering their own code, in their own contextual language and life experience however, and wonder if it is best to keep silent for now?